We are very proud to present an Exclusive Interview with the Executive Producers and Showrunners of Voltron Legendary Defender: Joaquim Dos Santos and Lauren Montgomery. We are also proud to have Hypable Writer and Podcaster Donya Abramo here to help us with the interview. Joaquim Dos Santos and Lauren Montgomery have been on our podcast many times, but this may be the last time we talk about the whole Voltron Legendary Defender series on Netflix, as Joaquim and Lauren have moved onto other projects. 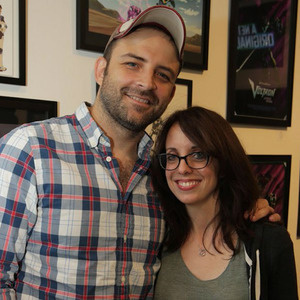 We appreciate Joaquim and Lauren taking this much time to talk to us about the 4th installment of a Voltron animated series since it debuted in 1984. We have no news about whether there will be future Voltron projects, but it's a real treat to learn about how Joaquim and Lauren view their time with Voltron, from the beginning to the end of Voltron Legendary Defender. For the first time ever, thanks to transcription help from Kitty Moon (@Kittykittymoon on Twitter), we have a full transcript of this podcast, which means that people who are hearing impaired can read it, or people who don't have the ability to understand English can take this text and translate it to the language they do understand. We'll be back in a couple weeks with more episode reviews from Season 8 of Voltron Legendary Defender.